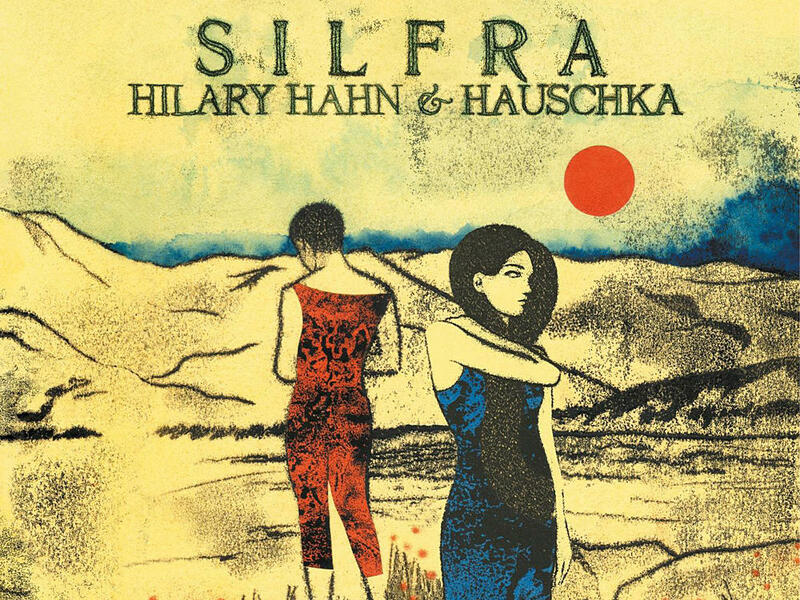 On Silfra, violinist Hilary Hahn improvises with prepared pianist Hauschka. From mezzo-soprano Cecilia Bartoli's ambitious revival of the early Baroque composer Agostino Stefani (and yes, she's got another outrageous album cover) to three very different roles for the violin, here's a clutch of classical albums I returned to again and again this year for sheer delight and aural inspiration. Bartoli lavishes extravagant attention on the music of a fascinating but forgotten link in the history of opera. Daniel Hope shines in an amusing overhaul of Vivaldi's Four Seasons. Hilary Hahn thwarts classical music convention to improvise with an avant-garde pianist. And MacArthur "genius" Leila Josefowicz brings to life a shimmering violin concerto — and musical farewell — from conductor-composer Esa-Pekka Salonen. Click on the listen link to hear Weekends on All Things Considered host Guy Raz and I spin the albums, and check out the list below for longer excerpts of the music. And if you're just tuning in, this is WEEKENDS on ALL THINGS CONSIDERED from NPR News. I'm Guy Raz. And it's time now for music. RAZ: All right. It's getting close to winter, but NPR's classical producer, Tom Huizenga knows how to bring a little spring into the studio. Tom, welcome to the program. TOM HUIZENGA, BYLINE: Good to be here again, Guy. RAZ: I was looking at the NPR Music website, and I saw the Best Of 2012 list. And right there, your best of list is right there. So I said we've got to bring Tom back on the show. Welcome back. HUIZENGA: It's great to be here again. RAZ: OK. So what we have playing right now, it's familiar. HUIZENGA: I'll give you a hint. HUIZENGA: But not really. It's Vivaldi in disguise, really. It's specifically Vivaldi's "Four Seasons" as retooled by this guy named Max Richter, a London-based composer who kind of straddles the electronic and classical music scenes. Like a lot of us, he really liked Vivaldi's "Four Seasons" as a kid, and then grew tired of it by hearing it in every dentist's office and elevator and shopping mall. So he has completely reworked the piece note by note, some cases, like, radically changing Vivaldi's music and a few other places just adding some low-end electronics, messing with the rhythm a little bit. RAZ: Can we hear some of that remodeling? HUIZENGA: Sure. First, let's hear some of the most familiar music of the "Four Seasons" and what we would call a regular performance. RAZ: OK, right. Everybody knows that, the beginning of the "Four Seasons." HUIZENGA: Yes. All right. Now, let's hear what Max Richter does to it. HUIZENGA: So he's just layering little shards of the original Vivaldi on top of one another, and then he's added a little bit of pretentious bottom-end electronics. RAZ: It is so cool. It sounds like movie music a little bit. HUIZENGA: It does. It does a little bit. 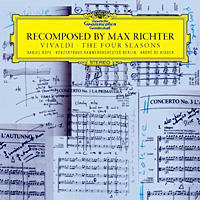 RAZ: That's called "Recomposed by Max Richter: Vivaldi's The Four Seasons." OK, Tom. What do you got next for us? HUIZENGA: Well, OK. The Vivaldi that we just heard was all about the score and manipulating the notes. And this next album is all about making up the notes as you go along. RAZ: So, Tom, I know a little bit about this because I can see - you have tried to hide your CD stack from me, but I can see it through this way. RAZ: This is somebody that we had on the program a few years ago. RAZ: His name is Hauschka, and he does this thing called a prepared piano. He puts things like ping-pong balls and other objects directly onto the piano strings, an amazing, amazing, pianist. HUIZENGA: It's an old trick that was actually invented in the 1940s by John Cage. 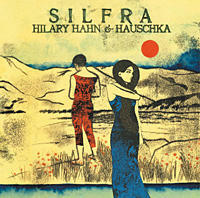 This record is called "Silfra." And I really like it because it pairs up these two very, very different musicians - our man Hauschka, the avant-garde guy from Germany, and then American Hilary Hahn, one of the top classical violinists today who usually plays Bach and Tchaikovsky. HUIZENGA: They got together, they traveled to this serene, Icelandic landscape near Reykjavik. They hadn't prepared a single note before they went in the studio. This record is almost completely improvised. HUIZENGA: You know, Guy, I give Hilary Hahn so much credit for doing this record because this is not what a top-flight classical violinist does. I mean, she's supposed to play your Bach and Beethoven according to the written score, thank you very much. But instead, she runs off to Iceland to improvise with this guy who inserts bolts and screws into his piano strings. I mean, it's gutsy, and I give her credit for it. It's a - I think it's a fascinating record. RAZ: That's the pianist Hauschka playing with the violinist Hilary Hahn. Their new album is called "Silfra." I'm speaking with NPR classical music producer Tom Huizenga. Tom is a regular on our program. And today, we're talking about some of his favorite picks from 2012. And, Tom, I suspect you've left opera completely off the list, right? HUIZENGA: No, no, no, no, no. There is mezzo-soprano Cecilia Bartoli, released a record this year, and she's up to her old tricks again. RAZ: And those tricks are? HUIZENGA: Well, now, let's see. Where's the album cover? OK. Now, I don't know if you've seen this. Now, here it is. Ready? RAZ: Yes. Oh, my gosh. She shaved her head. She looks like a priest. HUIZENGA: She's dressed as a priest. RAZ: She's dressed as a priest holding a crucifix. HUIZENGA: She's brandishing this crucifix, sticking it right in our face. RAZ: Wow. She looks like a member of the Addams Family on the cover there. It's all black and white. HUIZENGA: What her trick actually is, is that she has this habit of rummaging through music history and finding these old forgotten composers and immersing herself in their music. And this time around, she dishes up some music by the somewhat mysterious 17th century composer by the name of Agostino Stefani. RAZ: Wow. This priest can sing, Tom. HUIZENGA: She can, can't she? RAZ: Tom, I've never heard of Agostino Stefani. You said he was mysterious? HUIZENGA: Well, hardly anyone else has heard of Agostino Stefani, either. HUIZENGA: I mean, at least until Bartoli got a hold of him. But he - his life was very interesting, kind of reads like a spy novel. When he wasn't composing, he was a very effective political operative. He was a priest, a politician, all-around mover and shaker mainly in Germany, although he was born in Italy back in 1654. RAZ: ...because it's a hardcover book with all these photos of Bartoli dressed up as a spy and a priest. It's pretty interesting. It sounds like his music really suits her. HUIZENGA: Well, it does. I mean, she's really good at singing all this fast, florid material. But there's also many points on the record where she can really melt a heart with this very limpid, soft, beautiful singing. Let's rack up this one aria here. And just listen to what she does with one word. The word is amami - love me in Italian - and it comes from this really gorgeous lovesick aria from the Opera called "Niobe." RAZ: Wow. I'm turning blue just hearing that, Tom. How can she hold that for so long? HUIZENGA: Pretty incredible breath control there. HUIZENGA: I think it was a real treat to discover the music. Almost all the arias in this record have never been recorded before. And although Stefani was pretty much neglected, he was, as it turns out, an influence on a succeeding generation of baroque bigwigs like Handel, for sure. RAZ: Tom, we have time for just one more of your favorites from 2012. RAZ: What's it going to be? 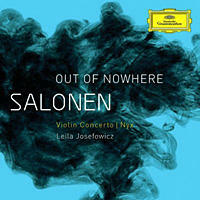 HUIZENGA: A terrific violin concerto by Esa Pekka-Salonen played by Leila Josefowicz. RAZ: Music of the great Esa Pekka-Salonen, of course, the former musical director of the LA Philharmonic. HUIZENGA: Seventeen years he led that orchestra. And I think he turned it into one of the more vibrant orchestras in the world, actually. But he also has been composing on the side. And I think his reputation as a conductor will - is really starting to be eclipsed by his reputation as a composer, especially when you hear this music, which I think is just fantastic. It won the Grawemeyer Award last year, a very prestigious composing award. He wrote it in 2009 for the violinist who we're hearing here, Leila Josefowicz, who plays it just to perfection, I think. And it debuted in one of the last concerts he gave with the LA Phil. It's really an eclectic piece, a lot shimmering colors, shifting rhythms. And, Guy, I think it's probably the only concerto that features a duet for violin and high hat. RAZ: Music from the "Violin Concerto" by Esa Pekka-Salonen with soloist Leila Josefowicz. It's one of my guest Tom Huizenga's picks as the best of the year in classical music. Tom, thanks so much for coming by. HUIZENGA: It was a pleasure, Guy. And I must say I'm really going to miss our little music listening parties. RAZ: And I will, too, of course, as I move on to a new program here at NPR that we're going to launch early next year. I'll miss talking with you here on WEEKEND ALL THINGS CONSIDERED. It's been great fun these past three and a half years. HUIZENGA: Best of luck to you, Guy. RAZ: Thanks. And you can find more of our music team's favorites of the year, classical, jazz, rock and hip-hop, all at our website, nprmusic.org. Transcript provided by NPR, Copyright NPR.